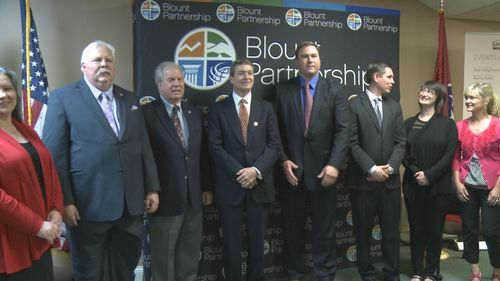 More money and more jobs are soon coming to Blount County. An education technology company announced it is opening a new facility in Alcoa which will initially create 300 jobs. K12 Inc. says its new campus will be located at the Tyson Centre Building (110 McGhee Tyson Blvd.) in Alcoa. They plan to initially hire 300 Tennesseans and make a capital investment of over $2.4 million within five years. According to K12 INc. President and COO Tim Murray, the campus will serve as a family support campus for those considering online homeschooling for their kids. “Many families are struggling with what is the best opportunity for their kids to be educated and for some, an online model is the right answer,” Murray said. The Virgina-based company already has ties to East Tennessee. Its Tennessee Virtual Academy is operated through the Union County School District. It came under criticism in February 2013 after a leaked email showed school leaders asked teachers to change the grades of failing students. 2011-2012 TCAP data showed TNVA students scored in the bottom 11% of the state. Despite the controversy, K12 Inc. continues to expand. Murray said the company chose Blount County for its quality of environment and dedication to education. “Over the last 4 or 5 years, I mean we have been on a real roll in creating jobs in Blount County, over 2,500 jobs… When a lot of the country has seen a downturn in employment, we have seen an increase,” said Ed Mitchell, Blount County mayor. According to Murray, K12 Inc. hopes to start consultations from the Aloca campus in June. He expects they will hire mostly people from within the area. The jobs will be posted on www.k12.com/careers with the location of Alcoa.